KABUL, Afghanistan (AP) — Contenders in Afghanistan’s parliamentary elections kicked off their campaigns Friday ahead of next month’s balloting as authorities reported that five candidates were killed in violence in the run-up to the campaigning period. The vote for the lower house of parliament is scheduled for Oct. 20, though it remains unclear if voting will take place in areas held by the Taliban. The rival political parties of President Ashraf Ghani and his Chief Executive Officer Abdullah Abdullah are expected to be among the front-runners in the vote. The election comes amid a particularly vicious campaign by the Taliban and the Islamic State group, which have been staging near-daily attacks across the country. Aziz Ibrahimi, the spokesman for the country’s Independent Election Commission, said the five candidates were killed in separate attacks, two in Kabul and one each in different provinces: eastern Nangarhar, southern Kandahar and northern Parwan province. Two candidates were abducted and their fates remain unknown, he said, adding also that three others were wounded in attacks. “All these incidents are a matter of concern for us,” Ibrahimi said. Lawmaker Farhad Sediqi from Kabul who is running for a second term said a lot of uncertainty hangs over each candidate. “To be honest, when we go out of our homes we are always in danger,” he said. Afghan interior and defense ministries said they deployed additional troops to provide better security for the candidates and their supporters. But besides the security challenges, a number of political parties and opposition groups expressed concern over the transparency of the election, leading to demands that a biometrics system be used to register voters — a first in Afghanistan’s history. The election commission said it has so far received 4,400 out of a total of 22,000 sets of biometric identification systems. The remaining equipment would be delivered in the coming days, it said. Ibrahimi said 2,565 candidates are battling for the 249 seats in the chamber, including 417 women candidates. 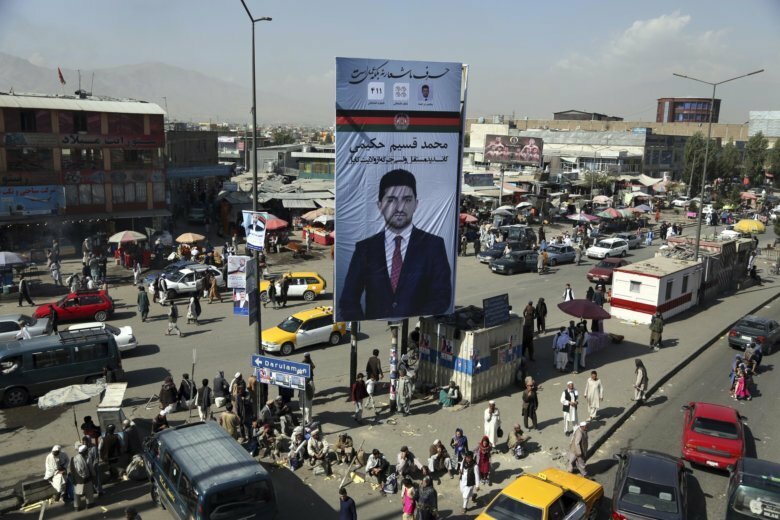 The capital, Kabul, and other cities and towns across Afghanistan awoke Friday to colorful posters of candidates plastered on billboards and walls. On election day, voters will be able to cast ballots at 21,011 polling stations. The parliament includes both a lower and an upper house, but only members of the lower house are directly elected. The upper house consists of a mixture of parliamentarians chosen from local councils and those appointed by the president, as well as members elected in district elections. Legislature passed in the lower house has to be approved by the upper chamber.